Beware other phone makers, Apple’s got something up its sleeves. That “something” has to do with three new iPhones that Apple plans on releasing later this year. The supposed new iPhones include the gold version of the iPhone X and larger screen versions of it too. These new iPhones will be inaugurated by Apple at an event that it plans on hosting on September the 12th in California. 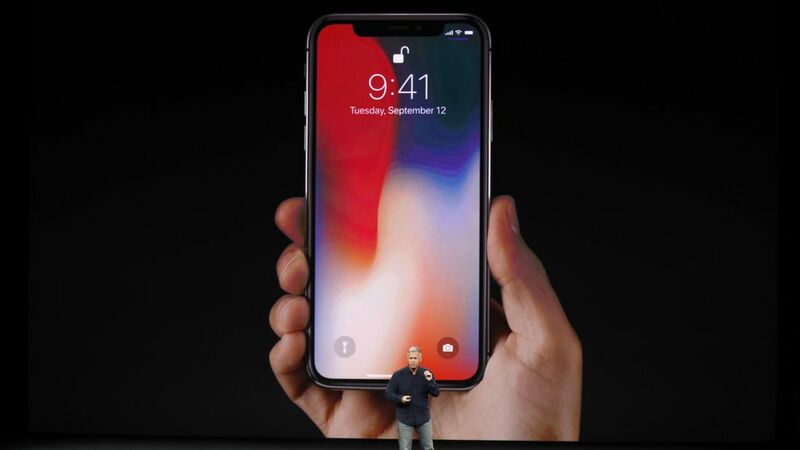 These new iPhones will probably go on sale just before the holiday season. The thing that gave away Apple’s gold iPhone X release is the California event’s gold themed invitation. The current iPhone X is available in silver and grey and could probably get a gold sibling too. Apple plans on releasing three new smartphones at a gold themed event to be held on September the 12th. These three smartphones will probably go on sale just before the holiday season to make the most out of the gifting season. The three new iPhones is one with a larger display screen, one with an edge to edge display screen which is supposedly the cheaper of the lot and a maybe- not- maybe- gold colored iPhone X. The event’s gold colored themed invitation is the only thing that says that Apple plans on releasing a gold colored iPhone X. At present the only color variations available in the iPhone X range is in silver and grey. Besides the gold invite that we already mentioned earlier, Apple had also submitted documents to the US Federal Communications Commission earlier this year to get approval to release a gold colored iPhone X. This gold colored iPhone X had not yet reached the stores so that leads us to believe that Apple may just be releasing its iPhone X gold version at this event in California. Another bit of information that has added fuel to the new iPhone X gold doing the rounds is that 9to5Mac posted a pic showing two gold iPhones stacked on top of one another with one being smaller than the other. According to 9to5 Mac this new Apple flagship model will be called iPhone XS. But that’s not all they had. According to them Apple also planned to release a larger display screen version of the Apple watch. This new Apple Watch will have not only a larger display but also reduced edges making for a wider screen. Besides all these little tid bits, 9to5 Mac also said that these were actual Apple images and not just some carefully designed mock ups. But how they got hold of these images is anyone’s guess or if they got it directly from the Horse’s mouth- Apple, then that is not much of a guess then, is it? Apple did not comment on any of the pictures nor did they respond to any inquiries regarding the same. But if they really stick to tradition, then most probably they will release new iPhones and new updates in the second week of September as they have done in the past.